Showing results for "solar charge controller"
Decorate fences or garden furniture with these solar-powered LED dandelion lights featuring a cool white light colour Size: Large. Colour: Red/White/Brown/L ight. Gender: Unisex. Age Group: Adult. Featuring a double USB output and an LED lamp, this 20000 m Ah power bank can be charged using built-in solar panels or with micro USB port Size: Small. Colour: Black. Gender: Unisex. Age Group: Adult. Featuring a double USB output and an LED lamp, this 20000 m Ah power bank can be charged using built-in solar panels or with micro USB port Size: Small. Colour: Orange. Gender: Unisex. Age Group: Adult. Featuring a double USB output and an LED lamp, this 20000 m Ah power bank can be charged using built-in solar panels or with micro USB port Size: Small. Colour: Yellow. Gender: Unisex. Age Group: Adult. Featuring a double USB output and an LED lamp, this 20000 m Ah power bank can be charged using built-in solar panels or with micro USB port Size: Small. Colour: Green. Gender: Unisex. Age Group: Adult. This Ball Solar Fountain is the perfect modern accessory to add your garden to enjoy all year round. Featuring 4 bright white LED string lights, the fountain gives a beautiful lighting display at night, with no running costs or maintenance needed. Simply activate the solar pump included for constant free running water and a serene outdoor display. Resin. Solar powered meaning no running costs, simply allow the intergrated solar panel to recharge and light up your garden at night. Bright white LED string lights included, making a long lasting dazzling garden display. (not included). Size H36.5, W36.5, D35cm. Weight 6kg. This solar-powered weather- resistant set of four multicolour tulip stake lights automatically turns on at dusk and off at dawn Size: Small. Colour: Red/Light. Gender: Unisex. Age Group: Adult. Solar indoor mosquito trap that repells insects without chemicals or scents; Easy to attach to windows w/suction cup. Insects are attracted to the light source and killed by electric shock. Built-in solar panel as well as daylight sensor. Cordless, easy to use and to clean; This traps gets rid of insects by using no chemicals, but solar light and electric shock. Attaches easily with suction cup. Batteries required: 1 x rechargeable (included). Size H5, W13, D12.5cm. Weight 0.19kg. Manufacturers 2 year guarantee. 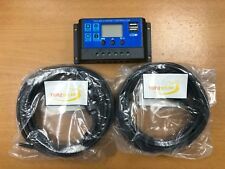 A perfect addition to all 12v (battery powered) electric fence energisers. 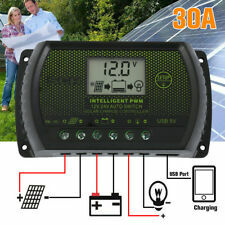 This solar assist panel connects directly to your 12v battery. Forget battery charges, this solar assist panel will cut out the need for battery charges altogether or will drastically extend the period between battery charges (depending how powerful your energiser is). Both panels are installed with a charge controller / regulator which prevents battery overcharge and discharge. Sturdy mounting stake is included.Models:10 Watt - HLB250, HLB450, MB60, HLC40/80/120 (Gemini), HLB20/80/170, HLB500.20 Watt - All 12v energisers.